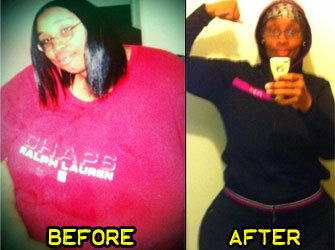 Pounds or Inches Lost: I have lost a total of 215 pounds so far! 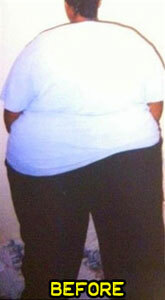 When my weight started reaching the 400 pound mark, that was a serious breaking point for me. I was working long hours, fighting the insurance companies for 8 long year to have gastric bypass surgery, had a miscarriage of my first child, shortness of breath and chest pains. My health was fading fast. In 2005, my prayers had been answered after 8 years of fighting different insurance companies to give me a second chance at living life. On July 14, 2005 I was reborn. Weighing in at 413 pounds at my pre-op doctor’s visit I found myself in disbelief that I had allowed myself to get to that size. Being blessed with a second chance at life, I received some other great news that I would be giving life. The only problem was that I was only 7 months post-op. Down already 90 pounds, my body was still in the process of drastic weight loss. Being scared of the unknown, I began to do my research on post-op pregnancy but to my surprise there was very little information out there in 2006 in reference to early pregnancy after gastric bypass Surgery. On a weight loss forum I was a member of, I was recommended to a doctor whom had experience dealing with women in my situation. I lost an additional 19 pounds during my pregnancy but my baby girl was born a healthy 5 pounds, 6 ounces. Once my bumble bee was born, I found myself drained and very tired most of the time but would still take her out and walk with me. Then the colder months came and I stopped walking all together and began eating unhealthy foods again. I gained 10-15 pounds over the next 2 years and then we found out we would be expecting our second child. Once again I lost weight during my pregnancy but postpartum suffered many complications including postpartum depression. I was faced with a host of new challenges which included a toddler, a new born, a wife, c-section, working a new job and even a side order of anxiety. I felt like I had just loss control of everything. I have always been the one to hold it all together and keep my family moving along. Now to be the one who has just loss all of that, I sunk deep into a depression. I began eating badly, not sleeping and exercise was out because I would get overly excited and have one panic attack after another. The economy had gotten really bad, gas prices were at an all time high, I had just been laid off my job and now my anxiety had taken over everything I did. Being that I had no family or friends I could call on when I would have an anxiety attack, I would have to call my grandmother and leave the phone up just in case I passed out or something happened, so she could call 911. I was afraid to call 911 myself since they may want to take me to the hospital and I did not want to leave until my hubby got home to watch our babies. I had thought I made it all the way down to 250 pounds but my wake-up call when I had my doctor’s visit and I stepped on the scale and it read 298 pounds! I felt numb and out of my body at that point. That just couldn’t be, there was no way! I worked so hard to get the weight off and now I was looking at my failure right in the eye. 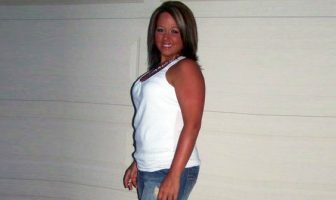 There was just no way I could go back to being 400+ pounds. There was no way I would let that anxiety swallow me whole right in front of my babies, there just was NO WAY! I sat down and prayed about it, talk to my husband (whom has been my number one supporter since day one of us meeting), while trying to get an understanding of where exactly I was going wrong. One morning my husband left to work and my girls were sitting on the coach watching Yo Gabba Gabba. I turned it up and we would just dance until we could not dance anymore. I slowly regained my strength by incorporating something as small as dancing with my girls in front of the TV in the morning. I noticed the weight was coming off slowly and the scale was moving in the right direction. I began to play soccer with my girls as well as dance. Since being laid off from my job, I developed my own small business and opened a small shop and Facebook page. While sharing my collection, some of my customers noticed my weight loss, so I began to share my story little by little and before I knew it, I had opened my life to thousands of strangers. I was motivated by the messages and comments I would get from others and it was so overwhelming to know there were so many people out there who really need and want to lose weight but are either discouraged, lost or just uneducated. I am always open and honest with everyone and I always share that this journey will be a hard one and will be useless if there is not a lifestyle change included in the plan. It took me many years to learn there is no way around a lifestyle change. Losing weight is one thing but keeping it off is another level in itself. A lifestyle change is my everyday habit now. I have incorporated eating healthier, exercising more, as well as educating myself and others in my everyday life. I also admit to not being perfect. I have learned so much since my rebirth 7 years ago. I have been through a lot and if I had not gone through those hoops and hurdles, I would not have the will and knowledge I have now to be a health coach to others. I see myself as a recovering addict and in order for me to stay successful I must stay committed to helping others and be around that constant reminder of how hard, painful, tiring and depressing it is to be trapped in a body you feel like you will never get out of. I also pride myself in the fact that I am in LOVE with exercising! Working out excites me, makes me happy and makes me feel 10 feet tall. I would go to the gym and find a stationary bike way in the back somewhere so no one could really see me and then workout for an hour and go home. Someone approached me one day and invited me to come to a Zumba class. I was so against it but my main purpose for signing up for the gym was so I could take on new challenges and broaden my horizons. So I went for it. At the end of my first class I was so exhausted that my husband had to help me to the car! But I came back 2 days later to do it all over again. Zumba opened the flood gates, so I now do Yoga, Body Works Plus Abs, Latin Heat, Boot Camp and my favorite which is Spin. I workout 5-6 times a week for approximately 2 hours. I have actually cut it down a little! So as of today, I am at 206 pounds and I want to get to 180 pounds. I was working on mainly toning but I want to take my workouts to the next level and I know to safely do that I would need to drop more weight to reduce the stress on my knees and back. The lowest weight I can remember being is 212 pounds when I was only 12 years old. The only reason I remember that is because it is documented on my doctor’s notes. 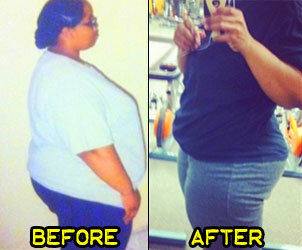 I share my weight loss story because I know I have not been through this long journey without a reason. In my heart I know my journey is bigger than me. Obesity is killing millions of Americans and we are passing it on to our youth as well. Even if I help motivate and save just one other person, my life has not been in vain. Early childhood. Probably as early as 15 years old. I have always “tried” to lose weight but being so young at the time and even when I was older, there was a lot of miseducation on my part as far as healthier eating habits. A lifestyle change. The way I ate and exercised as well as my sleeping habits had to be improved not just during my weight loss journey but everyday of my life. Becoming pregnant. I would also say breaking up with the feeling of comfort that food had always provided me with. I honestly did not see real results until I got back in the gym 2 years ago. Within a week of being in the gym, I could not only see a change but felt alive inside. It has been 7 long years of ups and downs. I am still currently losing weight. My weight has been going down now for the past 2 1/2 years. It has mainly become a habit for me but I would also have to say my family and the people who reach out to me for advice and support. After all I have been through, I know now that my story will be used to help so many others. That is what keeps me inspired and on the right track. I feel alive. I am now a health coach! In a million years I would have never thought I could or would be in such a position but I am forever grateful to give back to help someone else. I am being active with so many different people and that is very different for me because I always shied away from a lot of people due to my weight. Make small changes and slowly adjust yourself into your new healthier lifestyle. It will not happen overnight but with persistence it will happen. I love ShapeFit.com and whenever I am out and stuck in line at the grocery store, I take out my phone and brush up on the latest fitness information. I always share the great finds I discover on ShapeFit with other people. 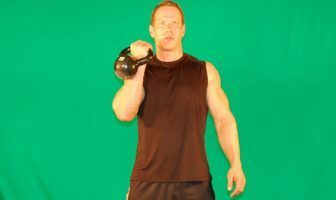 I am constantly on this site reading up on the latest fitness articles, educating myself and reading other weight loss success stories. A lifestyle change is a must. Ease into your lifestyle change. 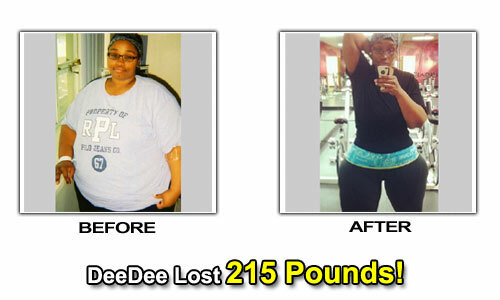 DeeDee’s Weight Loss Eating Plan! Oatmeal, banana and sugar-free applesauce. Whey protein shake with almond milk, a banana and plain oatmeal. 6 ounces of grilled tenderloin, spinach, cherry tomatoes and avocado. 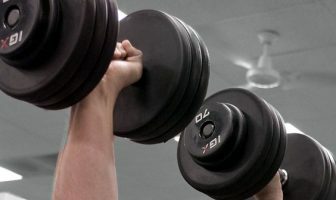 I take a one hour weight training class 3 times a week. I do a lot of Zumba and Spin.